Even though the Town of Pelham Public Library is a quiet spot in a frenetic, noisy world, it’s also usually bustling. Walk in on any given day, and you’ll encounter people of all ages taking out books, studying, or—if they are part of the younger set—attending Story Time. While all of that activity can be easily observed whenever the Library’s doors are open, the activity is also quantified in its Annual Report to the New York State Department of Education, which tallies circulation, the size and growth of the collection, attendance at programs and more. In this Bookmark, we take a look at the very detailed picture the Annual Report paints of what went on at the Library in 2015, which was its twentieth year of operation. Circulation: Last year, a total of 106,597 items were checked out at the Library. This encompasses print materials, electronic media and downloaded files. Pelham Library users borrowed 23,111 items via the InterLibrary Loan Program from other libraries, and an additional 12,468 items from the Pelham Library were loaned and checked out to patrons at one of the other 38 member libraries in the Westchester Library System and elsewhere. Those numbers don’t reveal the increased use of e-resources, with both the WLS and the Pelham Library itself increasing the number of e-materials available to patrons. Collection: The Library added 2,865 print books to its collection in 2015 and 3,324 other materials (primarily e-books and e-audiobooks and some audio and video products in-house). All told, it offers 66,143 items. In addition, patrons may access the WLS collection of over 3.6 million books and more than 70,000 e-books, among other materials. The WLS libraries continue to make significant investments in these areas. The Library also expanded some resources, including giving patrons access to Consumer Reports online. Computers: The Pelham Library has seven computers; patrons logged 8,057 Internet sessions, compared with 8,758 in 2014. Another computer is dedicated to the Library catalog. While the ubiquity of Internet access in our area may have caused the number of Internet sessions to decline, that statistic is a bit misleading—wireless usage at the Library is way up, leaping to 10,710 sessions from 8,213 the year before. One-to-one computer help continues to be available upon request. Hours and Access: In 2015, the Library was open for 2,098 hours. It is open a minimum of 40 hours per week in the summertime; otherwise, it is open 43 hours per week. Of course, it is also increasingly virtual, as patrons can reserve, renew, and download materials via pelhamlibrary.org at any time of day. Website visits rose to 39,379 in 2015, from 33,051 in 2014, an increase of 19 percent. Programs: In 2015, the Library held a total of 319 programs, with a total attendance of almost 8,978 people of all ages. This was a big increase from the year before, when 242 Library programs were attended by 7,176 people. What accounted for the increase? Among other factors, there were more sessions of Story Time; a second, daytime adult book club was added in September; and last fall’s Pelham Reads Alice, produced by the Friends of the Town of Pelham Public Library, was hugely popular. In summer alone, 1,171 kids attended programs. Reference: The Library’s reference librarians, available whenever the Library is open, handled 11,392 reference questions (including title searches) in 2015, compared with 11,111 the prior year. Who says you can find an answer to anything on the Internet? Registered Users and Visitors: The Library had 5,900 cardholders at year-end 2015, up slightly from 2014; this represents 48 percent of the population of the Town of Pelham, which was 12,396 as of the 2010 census. All told, there were 95,255 visits to the Library last year, compared with 93,757 in 2014. 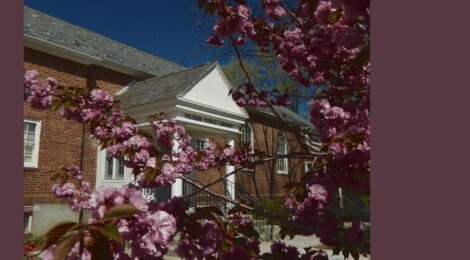 Operating Expenses: A municipal public library, the Pelham Library is funded primarily by local taxes collected by the Town of Pelham. The allocation from the Town in 2015 of $545,561 accounts for approximately 83 percent of its operating budget. The Friends of the Library funded approximately 11 percent of the budget, and the balance came from State funding, fines and fees and donations. The Town also provides support for capital improvements and various exterior maintenance tasks. Gifts small and large—some detailed below—permitted the Library to expand its collections, services and programs beyond the operating budget. Staffing: The Library has a total of 9.15 full-time equivalent positions (FTEs), including three certified librarians and other staff. (One FTE equals a 35-hour-per-week position.) The employee changes in 2015 included the additions of Maureen Annunziata and Carolina Coto-Chang as clerks and Daniel Gritz and Chelsea Ramsingh as pages. Trustees: The Library is governed by a board of 11 Town-appointed trustees. The trustees as of January 1, 2016, are Margaret Young, President; Stevenson Swanson, Vice President; Laura Woods, Acting Secretary; and Sandy Angevine, Catherine Campbell, Jennifer DeLeonardo, Samantha Monroe Hinton, Terrence Mullan, Carl Pannuti and Everett Potter. Campbell, DeLeonardo, Hinton and Mullen replaced Suzanne Auclair, Steve Molineaux, Paul Osmolskis, Cameron Potts and Robert Parisi, who have stepped down. The Library thanks them for their service. The Town Liaison is Councilman Dan McLaughlin. Karen Fellner joined the board later on this year. • The addition of two charging stations, provided by a gift from the Junior League of Pelham, whose Library Partners Program also coordinates the hugely popular Story Time program during the school year. 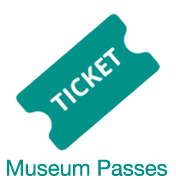 • The launch of the Museum Pass program, which gives Pelham cardholders free, or greatly discounted, access to 13 area museums. • The expansion of the Library’s representation in the Battle of the Books competition from one team to two, serving children in grades 4 – 9. • The new planting at the Library entrance in memory of Alexandra DeSantis, which was installed last summer and was made possible by the DeSantis family, Carleen Murdock and T&F Landscaping; LiGaya Gritz volunteered her time to plant and care for this area, as she has done for the side beds over the last few years. • The financial donations from the Eileen Lam bequest and the Mayer family, which have made extra Library purchases and programs possible. • The addition of a second Adult Book Club, which meets during the day and thus gives more Library patrons an opportunity to participate in a Book Club. 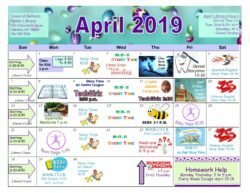 • The ongoing support of the Friends of the Library, which, in addition to funding part of the Library’s operating budget, also makes possible many programs, including K-Day and Pelham Reads. • The continuing support of the New York State Library Construction Grant program, which has enabled improvements to the building, including new stair treads, and of the Westchester Library System, which provided a mini-grant to provide additional support to the popular creative aging program SOLOFire and brought the WEBS Career Development Series, “Managing Your Career in Changing Times,” to the Library in 2014. How time does fly! The Friends of the Town of Pelham Public Library are already on the hunt for dinner hosts for Novel Night 2016, which is scheduled for Saturday, November 19. As in past years, this biennial fundraiser begins with cocktails and dinner—each appropriate to the theme of an individual book—given by several dozen hosts all around town. The dinners are followed by an after-party at the New York Athletic Club featuring dancing, desserts and drinks. Hosting does not necessarily have to be in your own home—2014’s venues included at least one local restaurant and an office—and you can partner up with other Pelhamites to host. In return, hosts’ tickets to Novel Night are free. If you’d like more information, click here or contact Elaine Chang at elainemchang@aol.com. Chess Instruction Returns: Mondays, April 18 and 25; May 2, 16 and 23, 7:00 – 7:45 p.m. The Library is once again offering free chess instruction, taught by John Gallagher. The series is for ages five and up—and people of all abilities. Registration is required. Battle of the Books Organizational Meeting: Thursday, April 28, 6:30 p.m. The Library is already gearing up for Fall 2016’s Battle of the Books. BOB is a county-wide competition for kids who will be entering grades 5 – 10 in the fall to demonstrate their knowledge of a list of age-appropriate fiction and non-fiction books. The Library will once again be sponsoring two teams, one for grades 5 – 6 and the other for grades 6 – 10. If you’d like to be part of it, come to this organizational meeting. For more information, call Augusta Turner at the Library at (914) 738-1234. Story Time: Tuesdays for ages 3 – 5, 10:30 a.m. Wednesdays for children ages 2 and under, 10:30 a.m. Attendance is limited to the first 45 people who sign in, children and caregivers included. A new ticket system will be put into use beginning on Tuesday, April 19, replacing the current sign-up system. Going forward, patrons will use tickets to attend Story Time. Homework Help: Tuesdays and Thursdays, 3:30 – 4:45 p.m. For children in grades K – 8. Students must bring their written assignments and accompanying textbooks, and they are free to drop in and leave when they have completed their assignments. Different high schoolers help out, depending on the day. Homework Help is also a good opportunity for beginning readers to read aloud to an interested teen. Snacks are provided. Homework Help ends June 1. WEBS Career Development Series, “Managing Your Career in Changing Times”: Tuesdays, April 19, 6:30 – 8:30 p.m. The final meeting for registrants of this popular series is next Tuesday, April 19. From WEBS, a service of the Westchester Library System, it teaches attendees how to evaluate their skills, interests and personality; use online career information; explore career alternatives; find out about educational and training programs in Westchester; and learn effective job-seeking strategies. No walk-ins are allowed. After-Dark Book Club: Thursday, May 5, 7:30 p.m. The Club will discuss “Our Souls at Night,” a novel by Kent Haruf. The last book written by Haruf, it takes place in the small town of Holt, Colorado. When Addie, a 70-year-old widow, asks if she can spend nights with Louis, the husband of her late friend, their arrangement is met with disapproval. But together they discover “an emotional intimacy beyond anything either has previously known” (Kirkus Reviews). 2nd-Friday Book Club: Friday, May 13, 10:30 a.m. In May, the 2nd-Friday Book Club will discuss “The Boys in the Boat” by Daniel James Brown. This popular 2013 work of non-fiction is about the 1936 eight-oar crew at the University of Washington, who—far from being the elites that dominated the sport on the East Coast and Europe—were young working-class men. They go on to compete in Hitler’s Berlin Olympics. One-to-One Computer and Device Instruction: Call the Library to make an appointment for individualized instruction in popular computer programs, such as Microsoft Word and Excel. You can also bring your smartphone or tablet to the Library and learn how to get started with apps that give Library patrons access to free e-books, e-audiobooks, e-music and more. All Library programs are free and open to the public. Unless otherwise noted, you can sign up for events that require pre-registration by calling the Library at 914-738-1234. Out of courtesy to fellow attendees, please be on time, and if you cannot attend, call to cancel so that someone else can have your seat. The 2nd-Friday Book Club and the WEBS Career Development program are funded by a gift in memory of Karin and Ted Mayer. WEBS also received support from the New York State Library and the Westchester County Government. The chess program is funded by the Friends of the Library. Story Time is made possible during the school year by the Library Partners Program of the Junior League of Pelham. The Library will be closed on Monday, May 30, in observance of the Memorial Day holiday. Starting on June 4 and continuing until Labor Day, the Library will be open from 10 a.m. to 1 p.m. on Saturdays. This story first appeared on pelhamplus.com on Monday, April 16, 2016. ← Get Free Digital Magazines Via Flipster! I read this article and found it very interesting, thought it might be something for you. The article is called How Many Books Did Pelhamites Borrow in 2015? To Find Out, Read Onand is located athttps://www.pelhamlibrary.org/blog/the-2015-annual-report-a-look-at-the-library-by-the-numbers/6126.